Buy the Mo-Rod/Mo-Reaper Combo to save $20! FREE SHIPPING on this item! 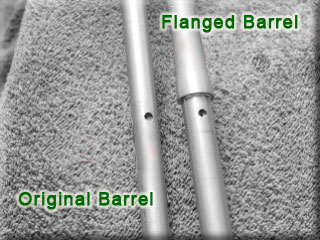 Dissipates heat from the barrel rapidly during firing. Improves accuracy, tightening up target groups. Provides barrel rigidity and stability, even when the barrel heats up. The Mo-Rod is simply the best-valued stabilizer/accurizer available for the Ruger Mini-14. 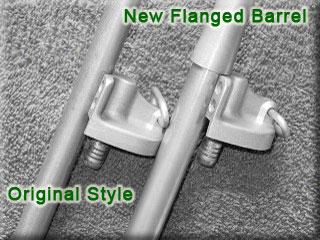 Its design includes an extra strong 3-anchor-point mounting system, using our no-budge new generation custom Mo-Rod clamps, and our precision “rib” slot connection for the front of the gas block. Professionally milled using 6061 T-6 high-quality aircraft aluminum and 300-series stainless steel, the Mo-Rod fits and looks as if it was designed by the factory. Built from American materials, the Mo-Rod is a quality accessory, and yet the most economically priced product of its kind available. Installation is fast & easy, and detailed instructions & tools are included! The Mo-Rod requires no permanent alteration to the rifle whatsoever. If desired, it can be removed without leaving a trace. Many Mini-14 owners have reported fabulous results after installing the Mo-Rod. 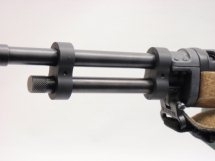 The Mo-Rod is fast becoming the industry standard for barrel stabilizer products of its kind. - For Ruger Mini-14 with full-length barrels. - Newer tapered 5/8" "heavy barrel"
- Will not fit on "Target" models due to the much larger barrels. - Available in black anodized (“blued”) or stainless steel. ASI Tuneable Gas Block: The Mo-Rod will not work with this product due to interference with the adjustment screw.